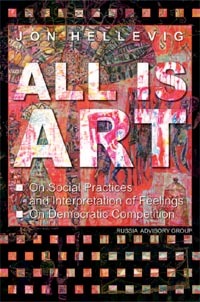 All is Art: On Social Practices and Interpretation of Feelings - On Democratic Competition. All is art: the art we see as deliberate art, but also science and even our daily being. Art is being, the living in search of an expression for interpretation of feelings. 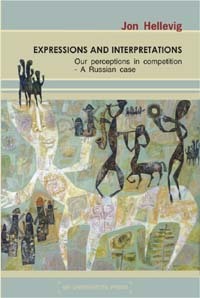 - Interpretations of each individual life are captured in the expressions of language, and through language all the human, all aspects of human life are governed by and reflected in social practices, in people's life in the commonwealth. The book reveals the connection of art with the evolution of the physical and chemical through biological to the mental and language - all related in the binary struggle between pain and pleasure of which art is a reflection, and a quest to overcome. This binary friction occurs in all aspects of life from the smallest cellular processes to the grand combats between men on earth. In art through language, expressions, the battle between pain and pleasure is brought from the biological organism to the mental plane. 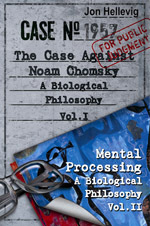 - The mental is later than the biological, and language is the latest stage of development; language as of yet underdeveloped, not fit for feelings; language restricting thinking - what can be thought of - and knowledge - what can be known. Language is our challenge. Art is the answer. Art is the great laboratory of mankind; art for art's sake the only true means for exploring the limits of the unknown, an assault on the frontiers of the unthinkable, the unknowable. Therefore a breakthrough in art, a breakthrough in expression, is a breakthrough in science, and this is the only true progress we can ever hope for.